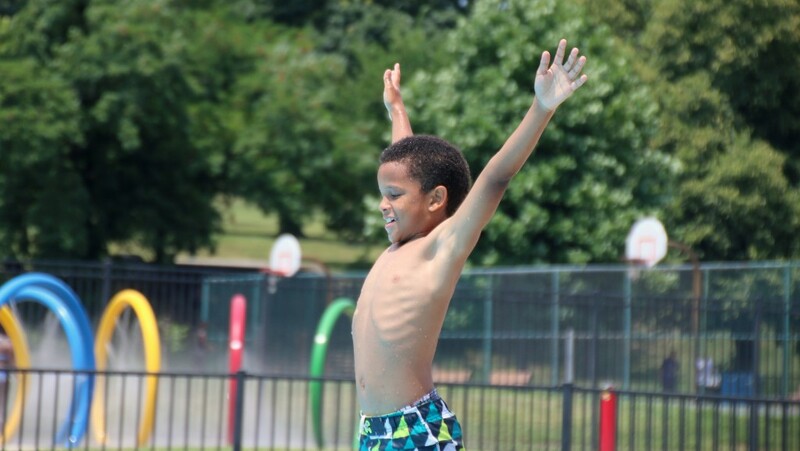 Under the shade of a tree in Patterson Park, nine-year-old Nakai Murray was lying down on her pool towel next to a counselor and a fellow camper. 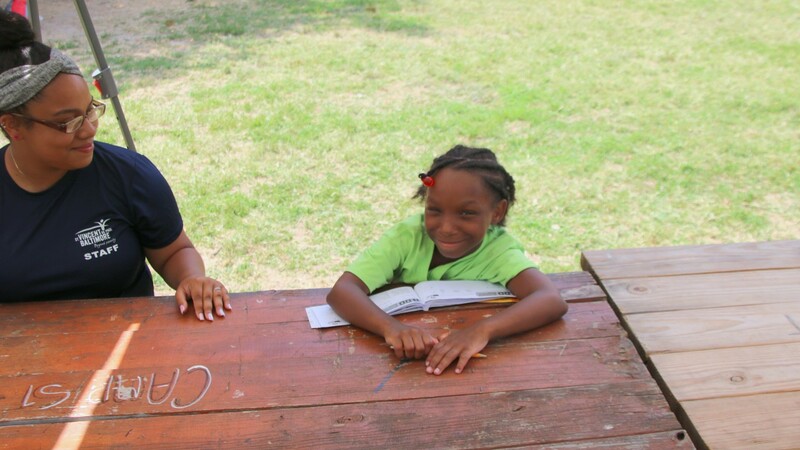 Relaxed but not actually napping, Murray was ecstatic to be filling out her math booklet during some downtime at Camp St. Vincent, Baltimore’s only summer camp exclusively for children who are experiencing homelessness. Murray lives with her parents at a shelter in Franklin Square. She said she loves getting to experience typical camper activities such as reading, swimming and games while her mom searches for a job and her dad works as an MTA bus driver. 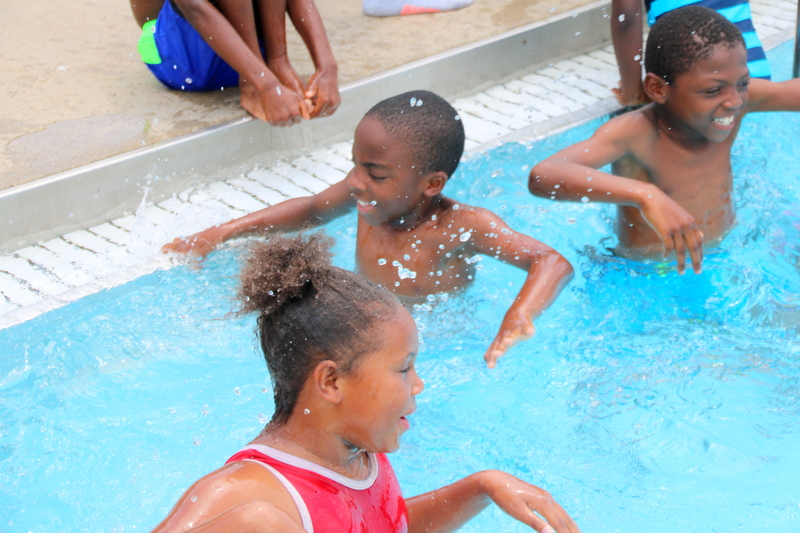 On a blasting hot day last week, after morning activities and lunch consisting of turkey sandwiches, salad, chips and milk, she and her fellow campers headed off to Patterson Park Pool, where they plunged into the cold water with screams of delight. 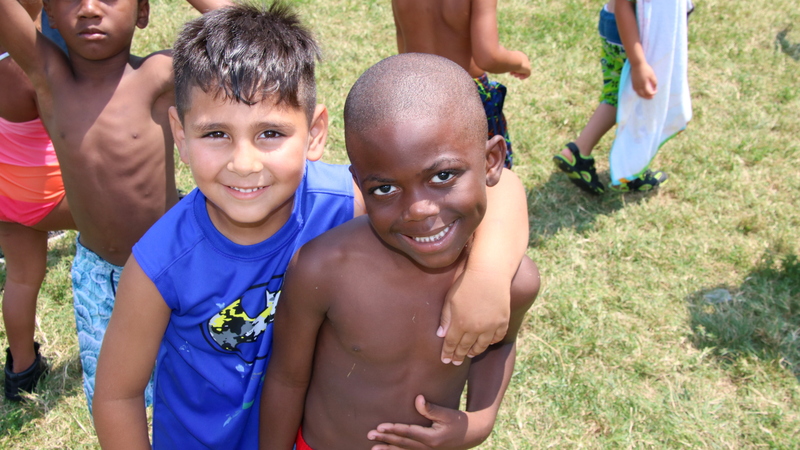 They’re the kind of opportunities the 109-year-old camp offers to provide stability, summer learning and fun to a group that has been growing in recent years – families experiencing homelessness. Baltimore city schools estimate nearly 2,300 students are homeless. Since the 2008 recession, a rise in the number of children without a stable nighttime residence has been tracked nationally and locally. The number of homeless children in Baltimore doubled during the five years between 2008 and 2013. “Most of our staff teach in Baltimore city public schools the rest of the year, and then they’ll come here and say ‘Oh I had this student in my class all year but I never knew they were homeless,’” said camp director Rebecca Horner. 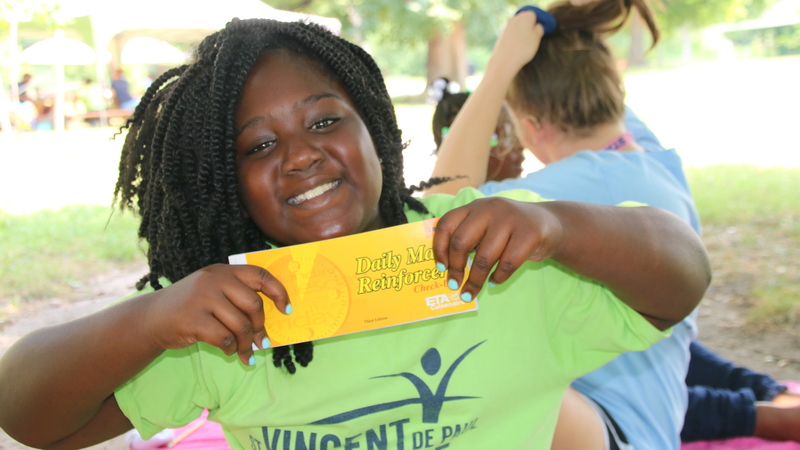 More than 250 children ages 5 to 14 from Baltimore city and county shelters are attending the free eight-week camp, a program offered by the St. Vincent de Paul Society of Baltimore. Costs are covered by grants and city and county schools but they don’t cover everything that’s needed. 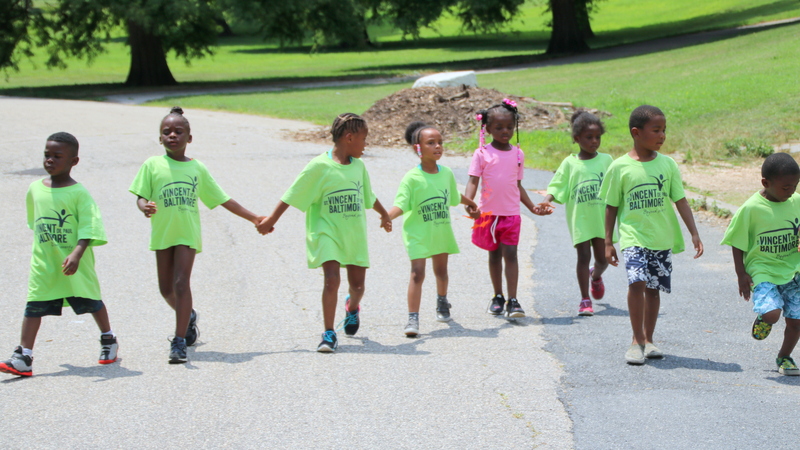 Arriving on buses, the children spend a full day doing activities both inside Camp St. Vincent’s building on Patterson Avenue and in the park. Campers get to stroll through the leafy paths on their way to the enormous public pool where they swim every day. By mixing reading and math with other fun activities, such as acting lessons and trips to the National Great Blacks in Wax Museum and to the Hippodrome Theater, the camp also helps kids catch up on school learning. That’s especially important for children living in shelters or transitional housing whose families are typically stressed and short on resources. “It’s nice because so many people have that stereotype of what homelessness is which is untrue,” said volunteer counselor Hannah Yost. As at any other camp, Yost and her fellow counselors had to keep a close eye on kids to stop them from climbing up the pavilions and misbehaving. But they’re also trained to deal with children who have experienced trauma. As the kids enjoyed free play time during lunch, 40-year-old staff counselor Jamar Willis was handing out lunch boxes with sandwiches and fruit. He joked around with the younger volunteers in between checking in on campers as they come up looking for extra food. “I’m not going to get rich here, but if you look at these kids, they go through a lot, way more than we ever see our whole lives,” Willis said.